Nothing changes the look of a room like a fresh coat of paint. At Renew Crew of Castle Rock, our team of skilled painters can transform your house one room at a time or all at once. No job is too big or too small, and that includes commercial work, as well. Adding a fresh coat of paint to your walls does more than lighten your mood and enhance your home. 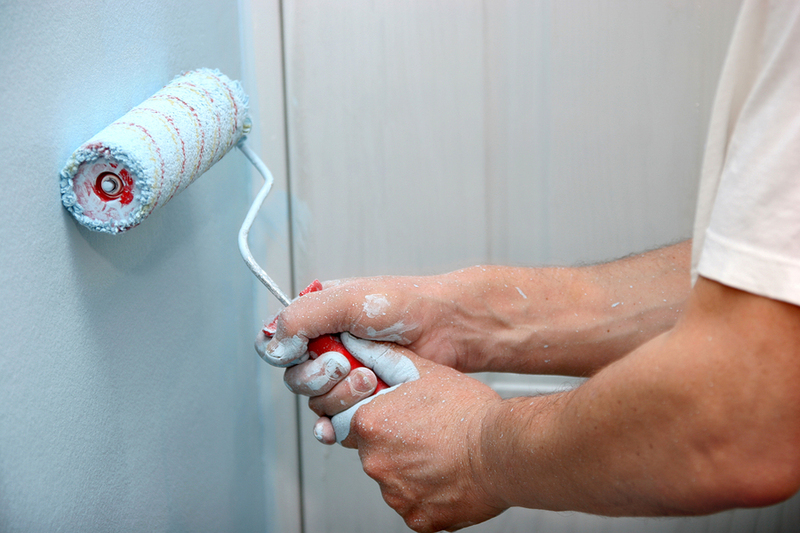 Periodic applications of paint reduce dust, improving air quality and decreasing airborne allergens. Modern colors and hues can increase the overall value of your home and provide a dramatic facelift to tired, faded walls. Although you may be tempted to experiment with the DIY aspect of home painting, there are many reasons to leave it to the skilled professionals. For most people, it’s just not a good idea to be climbing ladders, inhaling paint fumes or using the same wrist motion for hours on end. Let the painters do their job so you can continue doing the thing you enjoy. Although you improve over time, learning any new skill comes with its own set of challenges. If you want a beautifully finished wall, its best to leave it to the experts. Painting requires the use of many tools and accessories, and the better tools are also more expensive. Our painting crew has their own equipment, and you can be sure it’s the best for the job. The painters at Renew Crew of Castle Rock, Colorado, are specialists in applying paint and stain. We’re familiar with a variety of application techniques and ensure that your finished walls are smooth, with no visible lap marks or cut-in edging. We pride ourselves on our ability to come in, get the job done and depart without leaving a mess. All you have to do is enjoy your newly painted rooms. Call us today at 720-439-7667 for a free estimate or complete our online request form. We look forward to providing the same personal service and attention to detail you have experienced with our deck and concrete cleaning services.